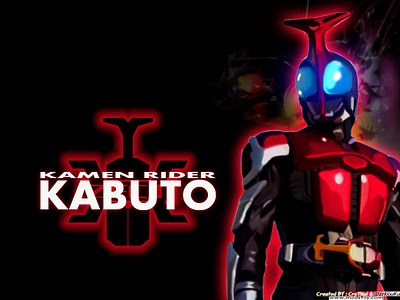 Kamen Rider Kabuto is the sixteenth installment of the Kamen Rider series of tokusatsu shows. Along with other Riders with mysterious origins, Tendo Soji under his Kamen Rider Kabuto identity tries to protect the girl Kusakabe Hiyori and the whole world from the Worms that came from a meteorite seven years ago. In the way of saving the world, Tendo meets Kagami Arata. Soon they find a good friend on each other, and when Kagami becomes Kamen Rider Gatack, both guys start to work together in protecting Hiyori and the whole humanity.